Is there any way to show the displayname of the enumeration set in SCOM? Squared Up doesn’t receive anything involving display names when it comes to properties – which is why on the monitored entity view you see the internal system names from the MP rather than their display names too. The Application classes that SquaredUp uses are all abstract, so can’t even extend with extra string properties. I could make a relationship to another CI class, but then I’d have to show the properties for that relationship. 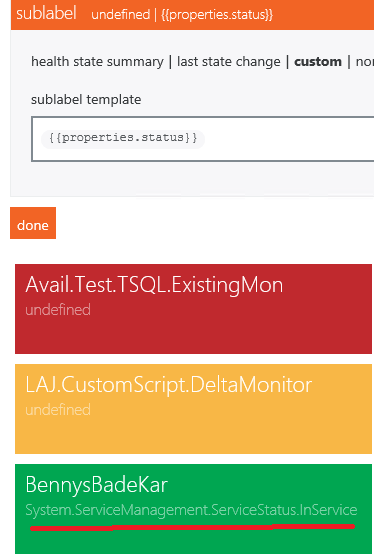 This makes it pretty hard to define anything custom on a squaredup application as far as I can see.